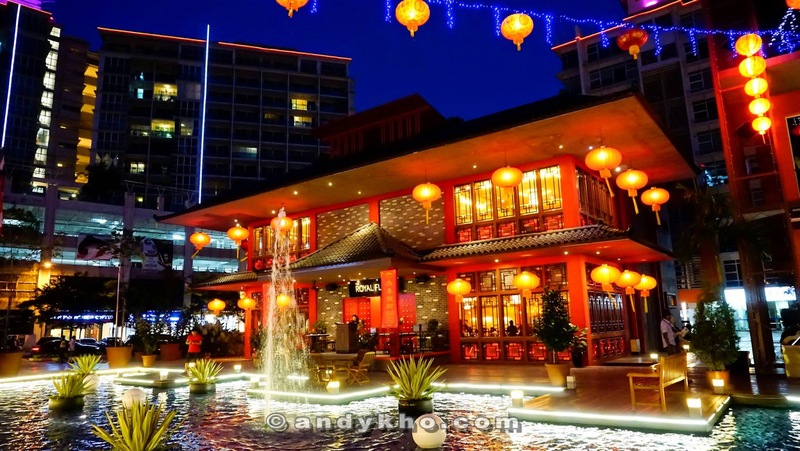 Have you ever dream of dining at such a beautiful restaurant? 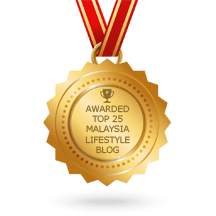 Nowhere further but Oasis Ara Damansara! 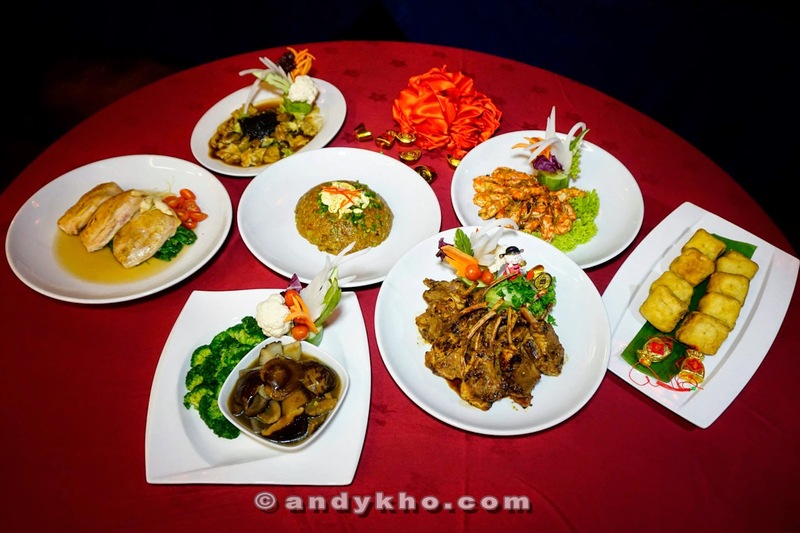 Royal Flush is the place to go for chinese cuisine with awesome environment if you want to celebrate any occasions, gathering or even clients' meeting. It doesn't only pretty on the outside but inside too. 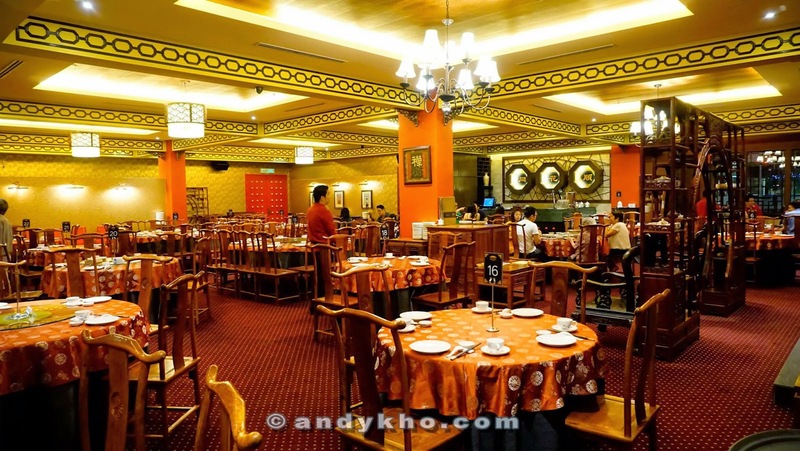 Oasis Ara Damansara is a new outing spot (Alright......maybe not the latest one but not many people knew about it) as well because it has a beautiful landscape and night scene. 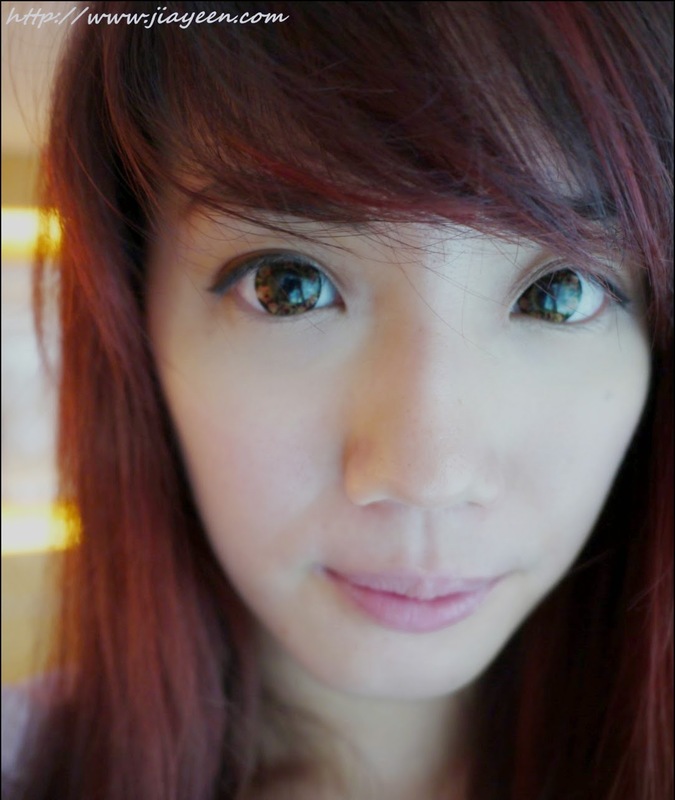 Pray for good future, good relationships, good life. 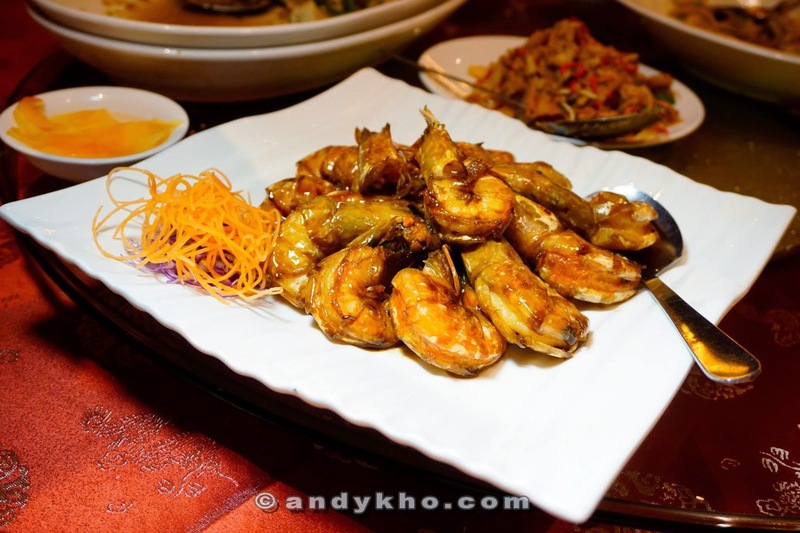 Yummy prawns with yummy sauce. 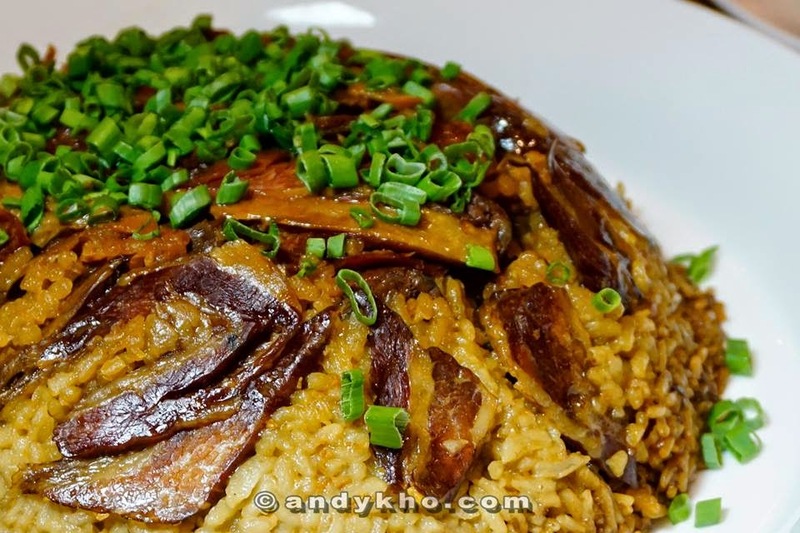 This is my favourite dish as usual. 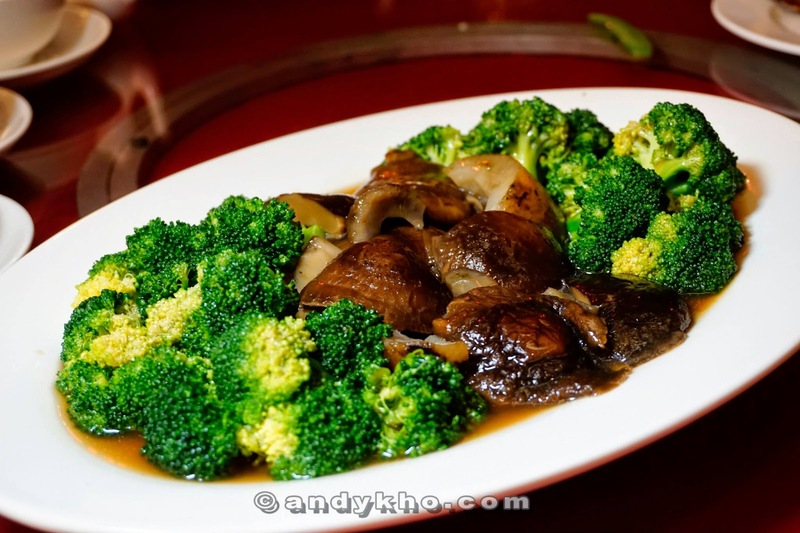 I always love broccoli with the scrumptious sauce. Perfectly enhanced the chicken meat. I am a soup lover. The gravy is good but the meat is a bit dry. I guess we arrived too late at the restaurant. That was why they couldn't estimate the time. 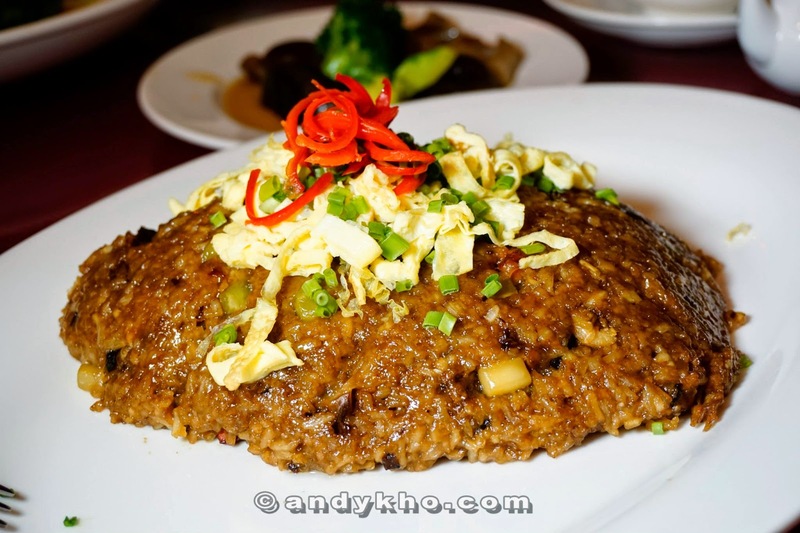 Not too oily, the taste is just nice if you consume the meat along with the rice. 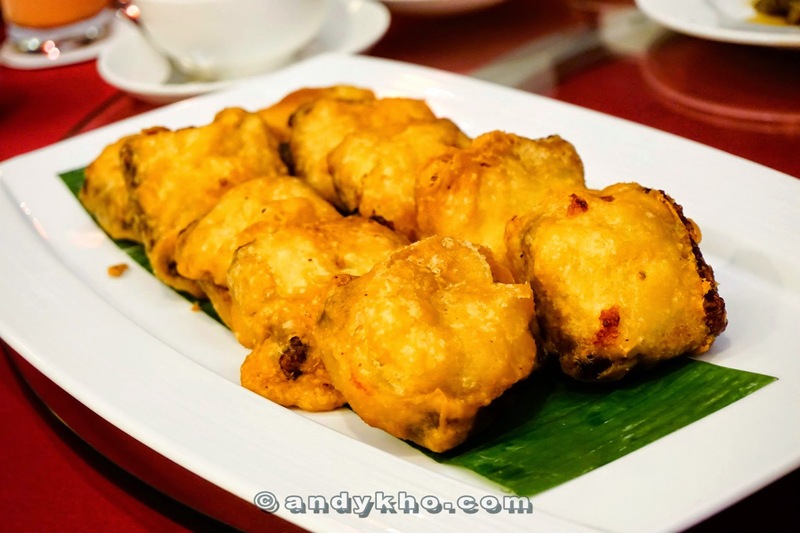 Crispy but the flavour is not perfect. MHB girls with MHB founder, Tim Chew. 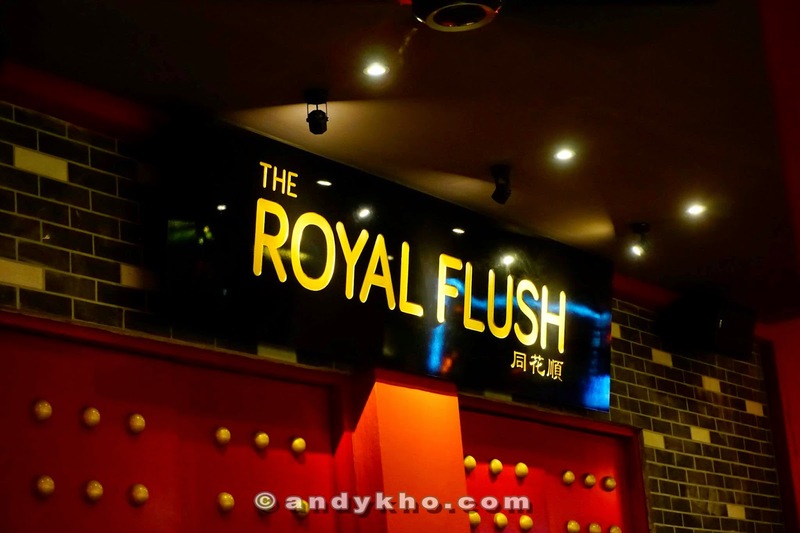 I had a great evening at Royal Flush, Oasis Ara Damansara. 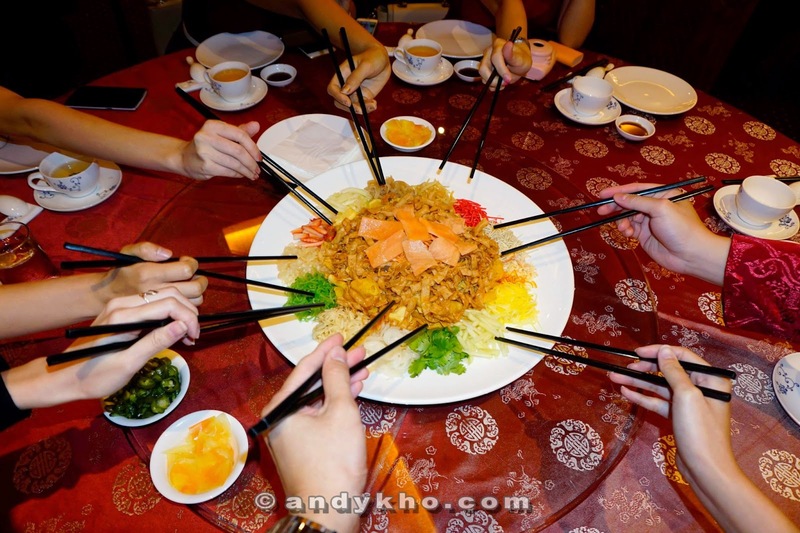 During CNY, we always start off with Salmon/ Pear Yee Sang with Prosperity Yee Sang Tossing. 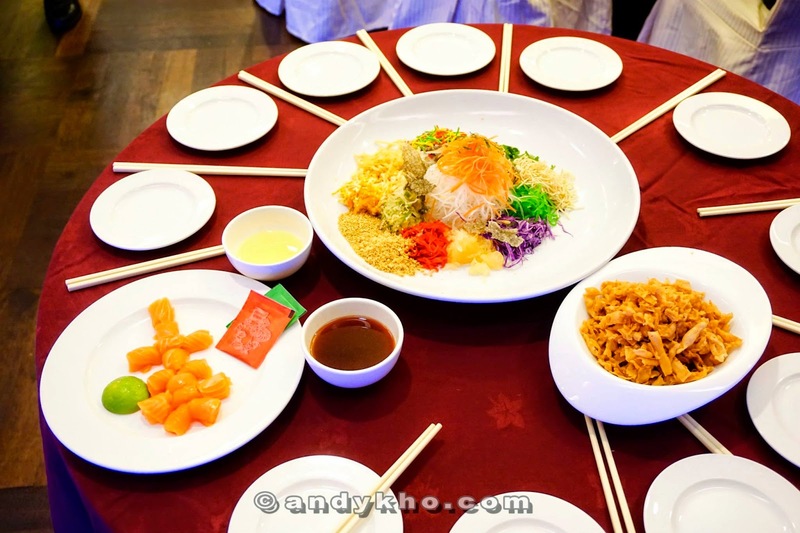 Yee Sang reminiscences the meaning of "Feng Shui". Bad luck off, Good luck in. 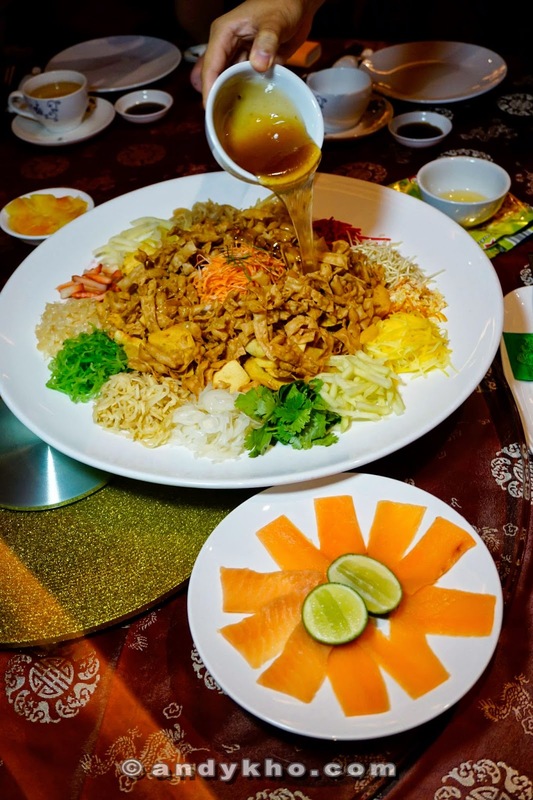 Dorsett Regency introduces this yummy Salmon Yee Sang into their CNY menu which I think it is a great move. 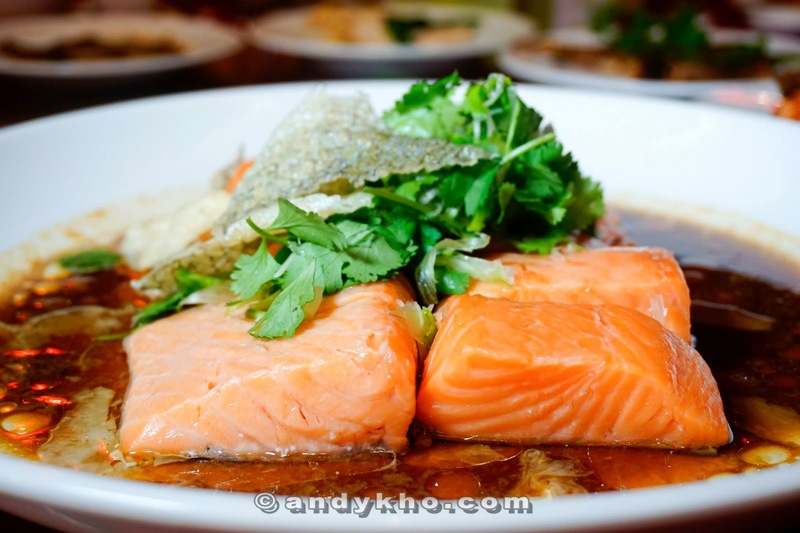 As the combination of salmon and yee sang ingredients is the best combination ever. 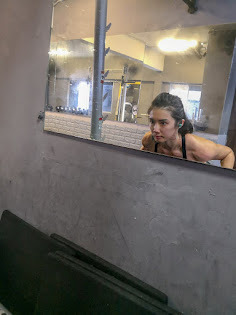 I only dared to try a little. 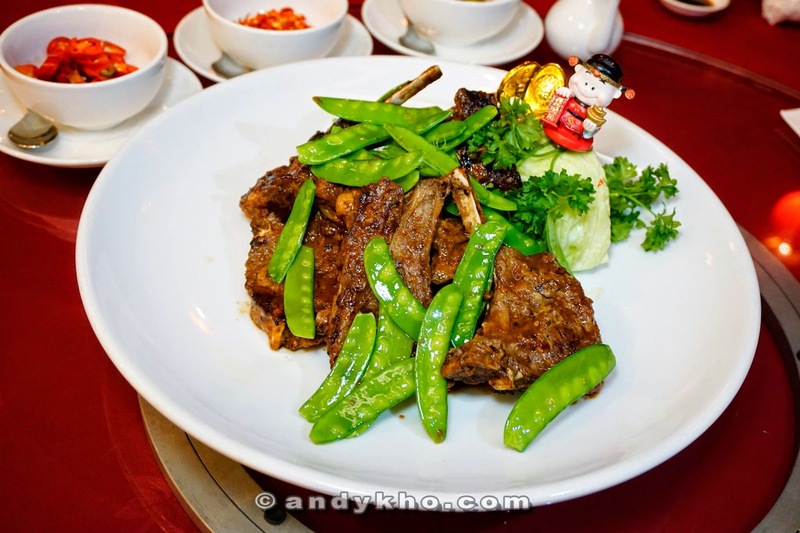 This is awesome for lamb chop lover. The Fresh lamb chop + the gravy = Best combination. 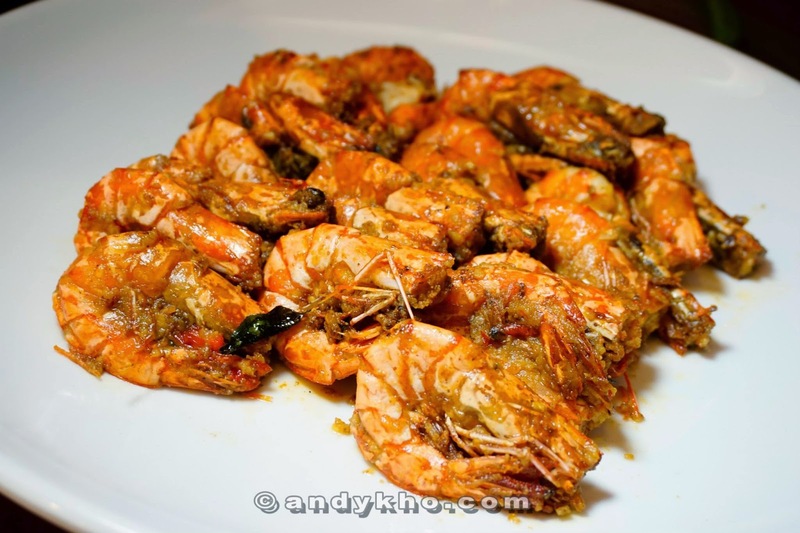 Do you know how to determine the freshness of prawns? 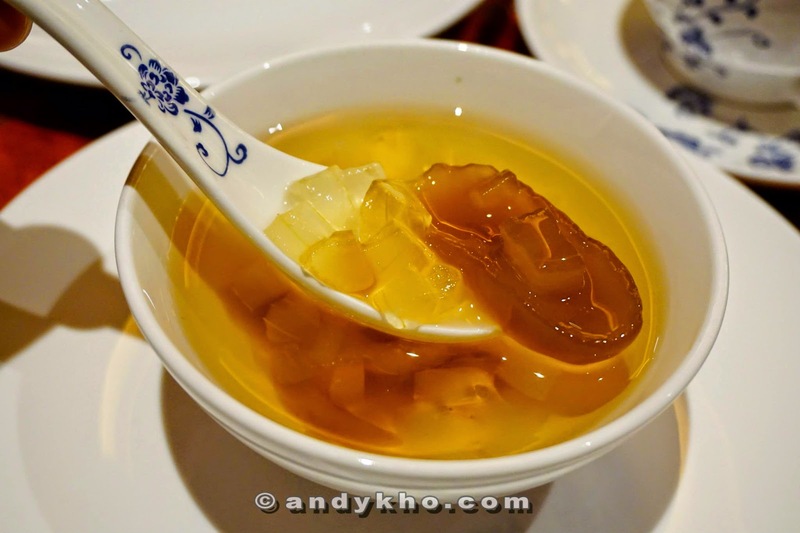 If the shell is not totally attached to the prawn, it is fresh but not frozen prawns. Oh yes, this is definitely fresh. 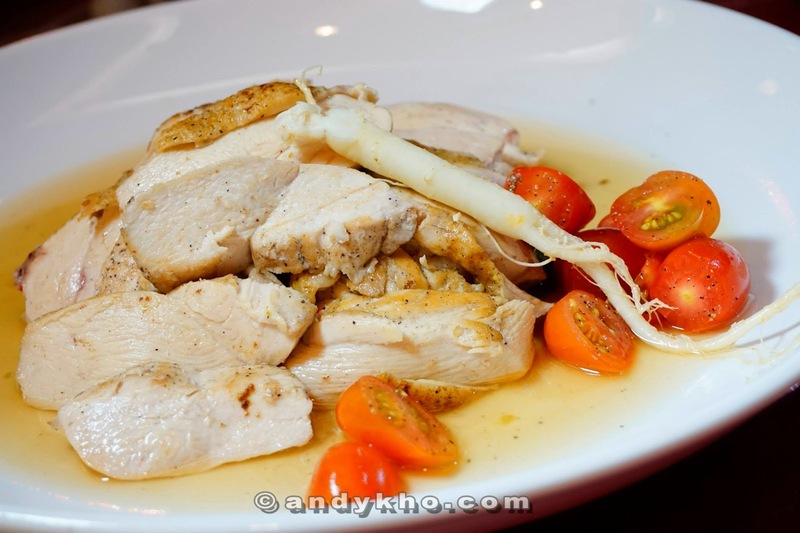 one chicken dish which is full of nutrients we needed. 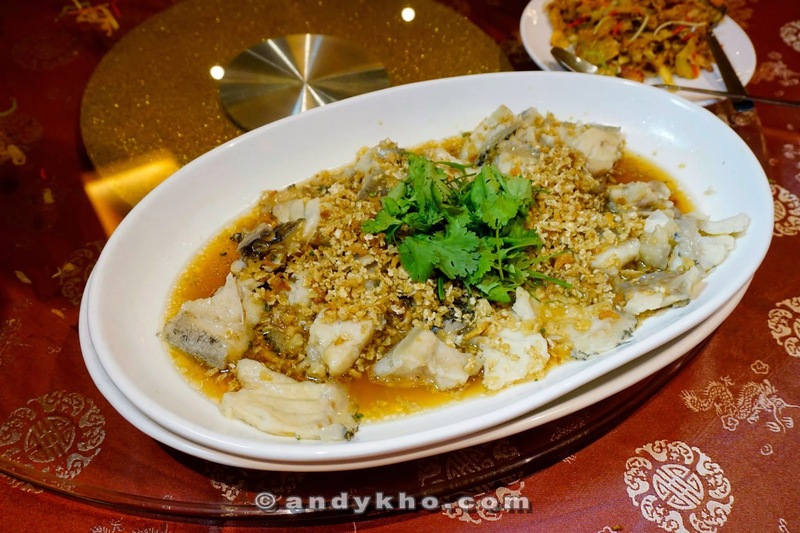 Steamed Salmon Fish with "Virgin Soya Sauce"
Salmon fish is always my favourite. This is in between the cooked and uncooked state. Best state ever for Salmon fish. Nutrients kept and taste enhanced. 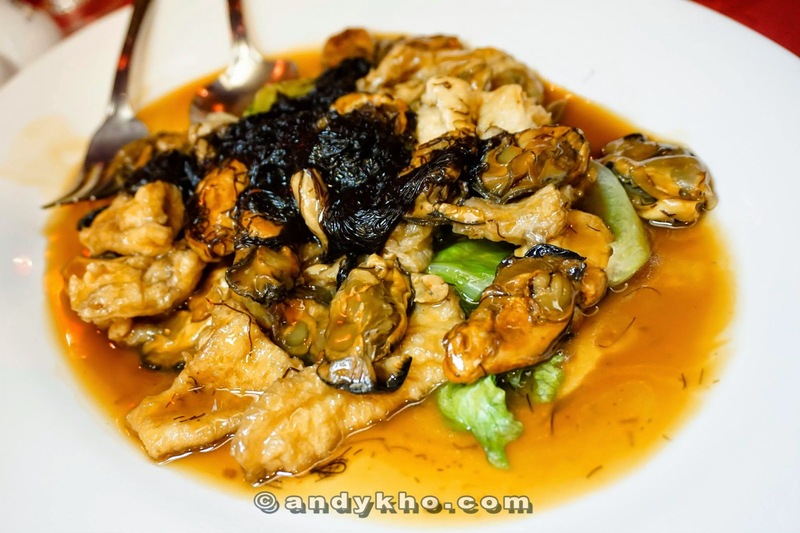 Stir fried Dried Oyster with "Fatt Choy"
A very typical chinese dish. 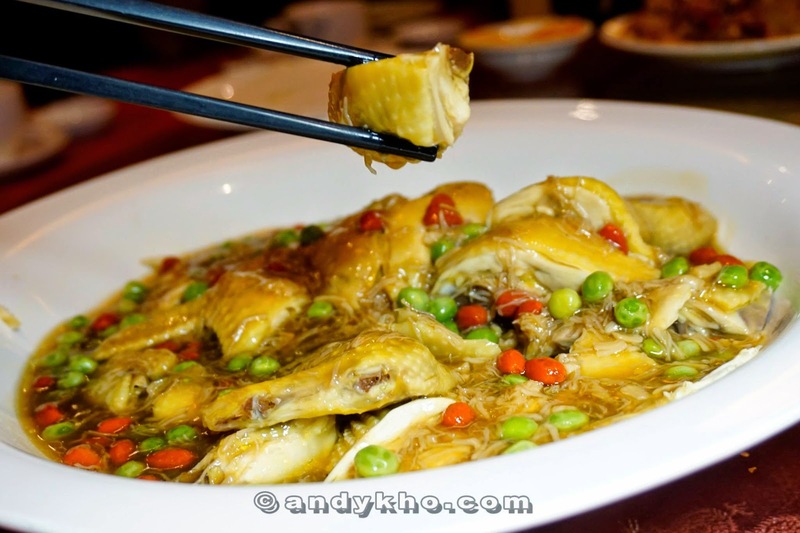 Typical but with extraordinary taste as not many restaurants can handle this dish well. 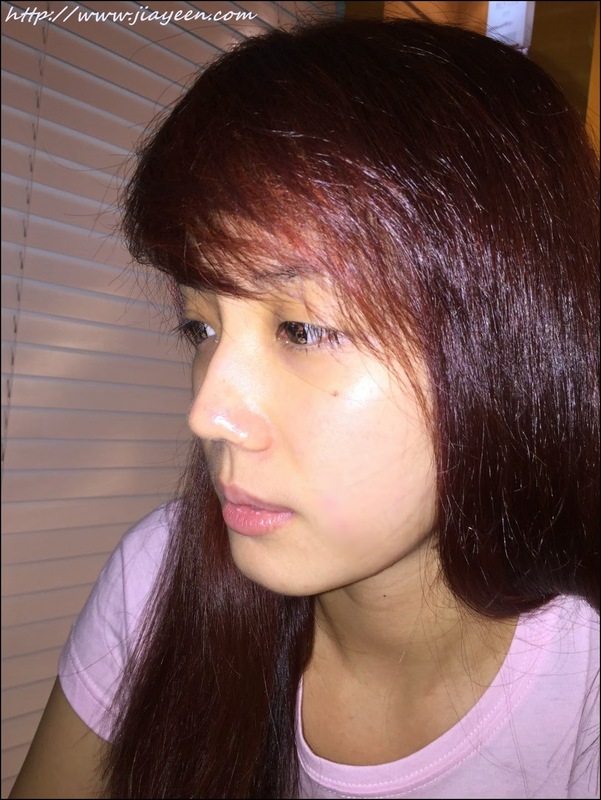 This is not oily at all. 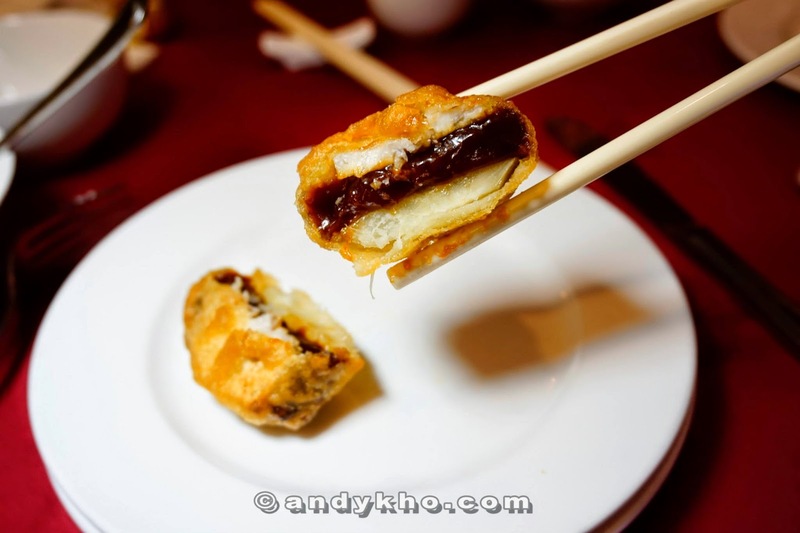 The typical one is always oily and full of waxed meat. 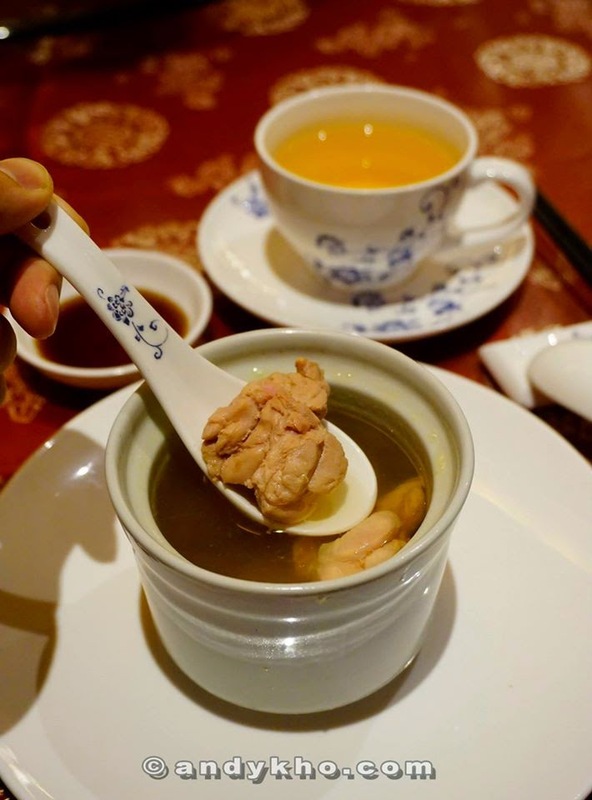 Instead, the chef replaced the waxed meat with smoked duck. A complete picture of the food we had during that night. 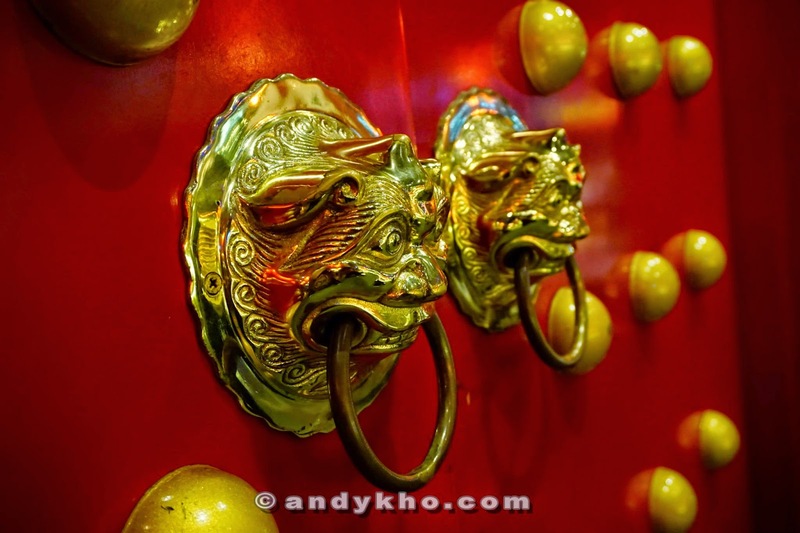 Happy CHINESE NEW YEAR in advance to my readers! 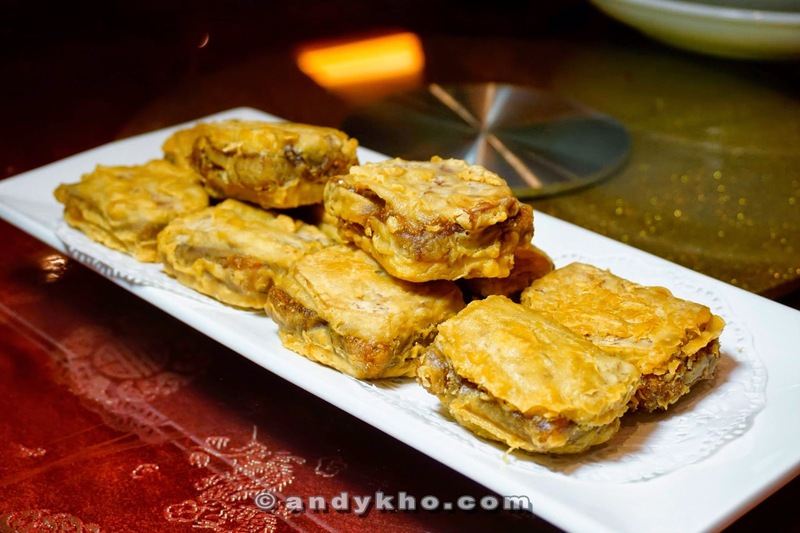 Last but not least, the sweet sticky rice cake - "Nian Gao"
Tthe perfect combination of a layer of Sweet Potato, sweet cake and yam reminiscences my childhood memories as my mum used to make this during Chinese New Year. MHB girls with the chefs. The complete group photos of the guests of the day. 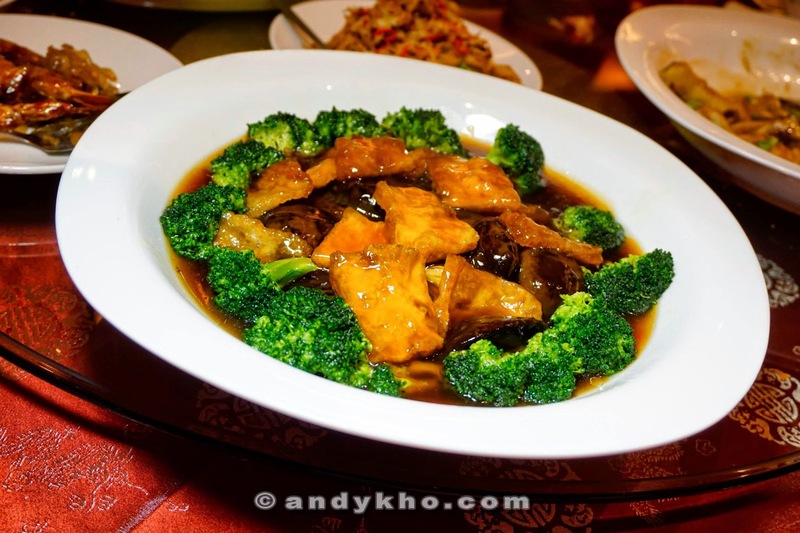 -Wok Fried Fragrant Rice "Yong Chow"
-Slow Cooked Cod Fish with "Virgin Soy Sauce"
Looking for a nice modern, sleeveless or even perfect fit cheongsam is never easy. 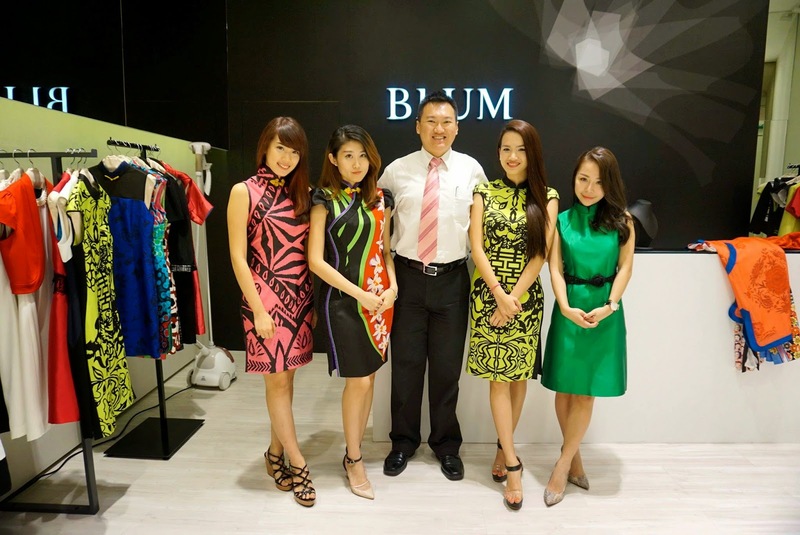 Blum has been growing in the Singaporean fashion apparel industry since 1992, establishing themselves as a leading fashion label in the upper-middle to high end executive wear. 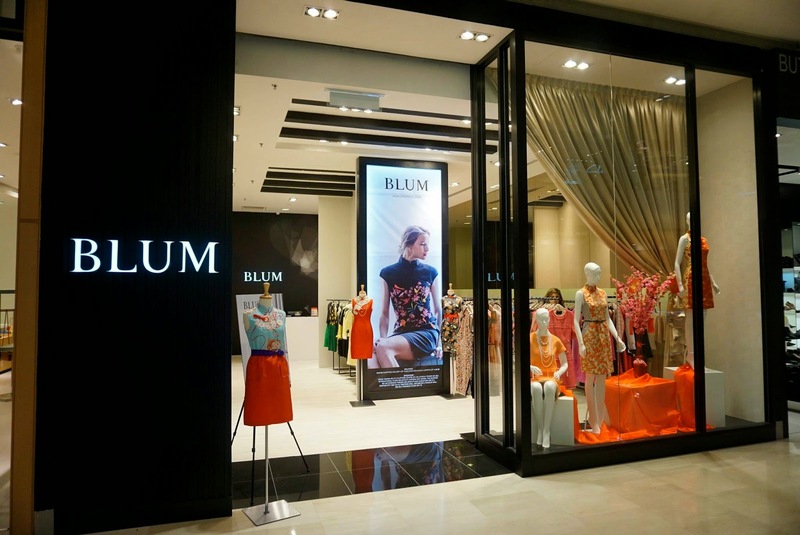 Blum is now in Malaysia with two (2) outlets in the Klang Valley, at Pavilion Kuala Lumpur and Empire Shopping Gallery in Subang Jaya bringing with them their range of apparels to cater to professional and corporate women in Malaysia. Blum aims to provide a sense of individuality and exclusiveness to customers hence their designs are produced in limited quantity although there are a wide variety of styles and choices available in each boutique. The brand takes pride in providing excellent craftsmanship, ultra-chic, and versatile work wear which helps you to exude elegance, be it in the boardroom or out in the field. 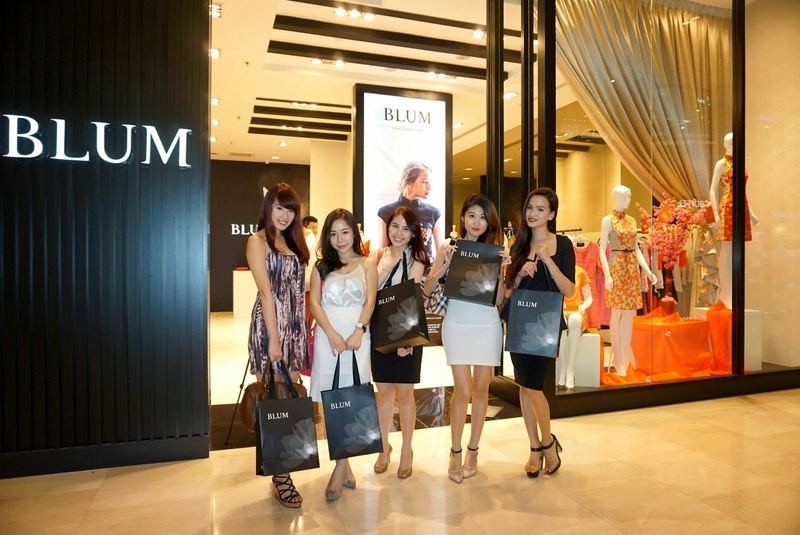 Blum is a customer's centric fashion brand, offering a prudent choice of colours and range to satisfy different kinds of customer's skin tone and body shape. The brand also strives to give customers the best value, and ensures the highest standards; from designs to fabrics selection, from cutting to trimming, from assembling to packaging and from retailing to after-sales services. The dedicated team of designers constantly tracks the latest in fashion trends to produce the latest concepts, designs and styles. Fabrics are imported from Korea, Japan and Europe to give customers the best look, feel, comfort and ease of care. Had a hard time choosing clothes from the collection as they are just too pretty! Here comes MY FASHION SHOW! #1 Traditional prints with blue-based background cheongsam. #2 A more traditional cheongsam. #4 Tribal design with pink-based background cheongsam. Black and Brown design straight cut dress. #6 Lastly, Japanese design with blue-based background. 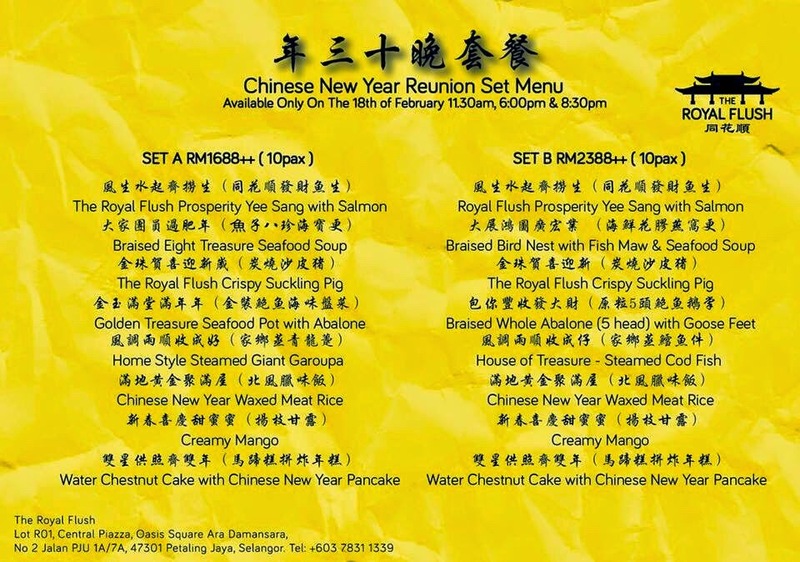 This is what I chose for my CNY. It is very comfortable as the material is cotton. I like how it enhances the elegance of a woman. 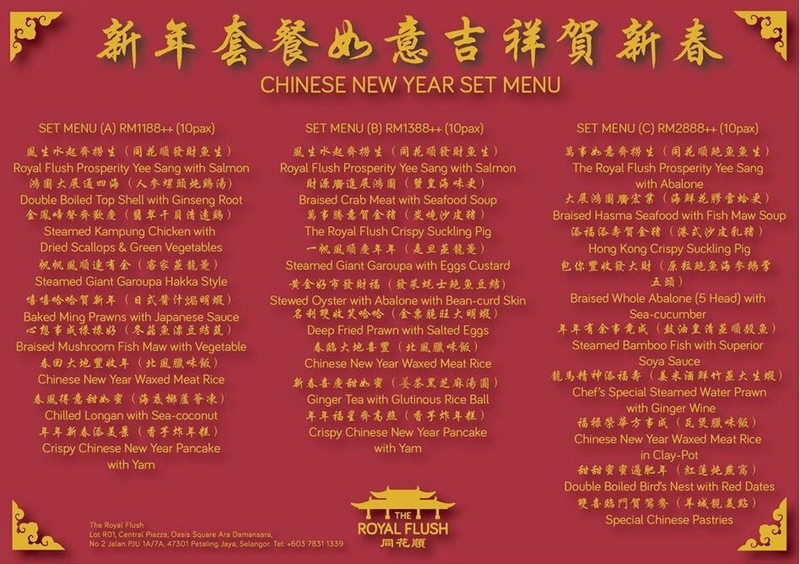 It is suitable for most of the occasions, like evening dinner, CNY visit and etc. 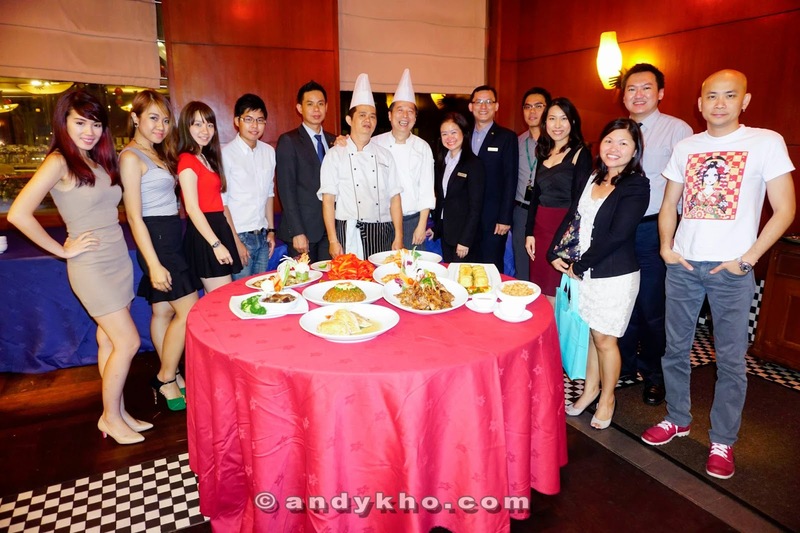 A group picture with Tim, the founder of MHB and the other MHB bloggers. Thanks to Blum for the wonderful collection. We had a great night choosing and trying on the clothes. 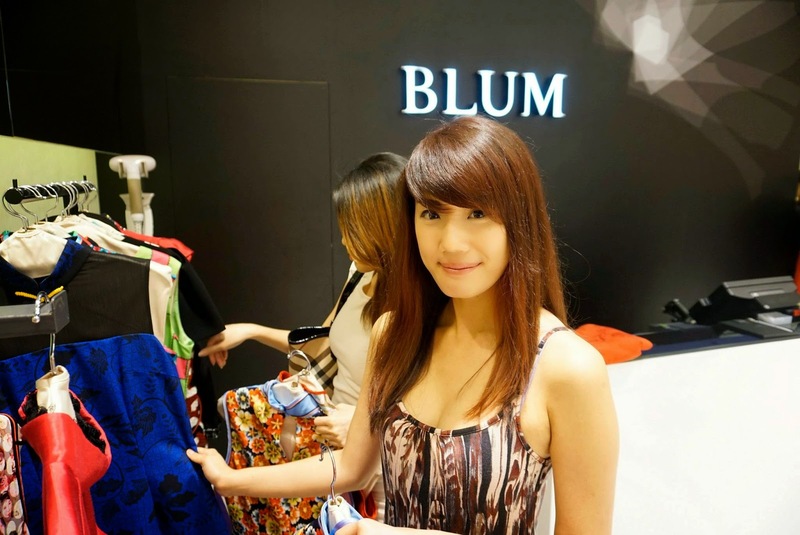 For modern and elegant cheongsams, I would definitely recommend BLUM. Their designs are always up to date. Definitely suits the preference of the young people like us.